THE BEST SICK DAY EVER and the animals in the zoo feature in this striking picture book debut. Friends come in all sorts of shapes and sizes. In Amos McGee's case, all sorts of species, too! Every day he spends a little bit of time with each of his friends at the zoo, running races with the tortoise, keeping the shy penguin company, and even reading bedtime stories to the owl. But when Amos is too sick to make it to the zoo, his animal friends decide it's time they returned the favor. A Sick Day for Amos McGee is a 2011 Bank Street - Best Children's Book of the Year and the winner of the 2011 Caldecott Medal. This title has Common Core connections. Look for the Helpers is a shaped board book that highlights the emergency vehicles that help make our world a better place. It’s a big, beautiful world, filled with awesome adventures. But sometimes emergencies happen. When they do, look for the helpers! Helpers are all around you. Fire trucks, ambulances, police cars, and more crowd the pages of this shaped board book that teaches children to look for helpers wherever they go. With a search-and-find twist, each scene highlights different types of emergency vehicles in action. Look for the Helpers is an adventurous book that introduces little ones to the caring helpers who make the world safer. A classic story now in a lap-book format has been slightly abridged and features the famous illustrations from the original edition that will keep toddlers cheering on the little blue engine as she continues chugging along. Bear's friends are determined to keep Bear awake for Christmas! So they wake Bear up and have him help them find a Christmas tree, bake cakes, hang up stockings, and sing Christmas songs. Bear stays up--by discovering that giving is one of the best Christmas presents! You can climb a tree with a sister, or have a pillow fight, or ride the see-saw. A sister can keep you company in the back of the car, play dress-up with you, and help you when it’s time to clean up. A sister is a special someone to love. 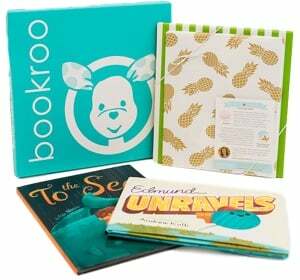 This sweet, lively lift-the-flap book is perfect for sisters and brothers to share. Children will delight in seeing all the fun things there are to do with a sister. A child helps to choose a theme for his party and prepare for the big event.